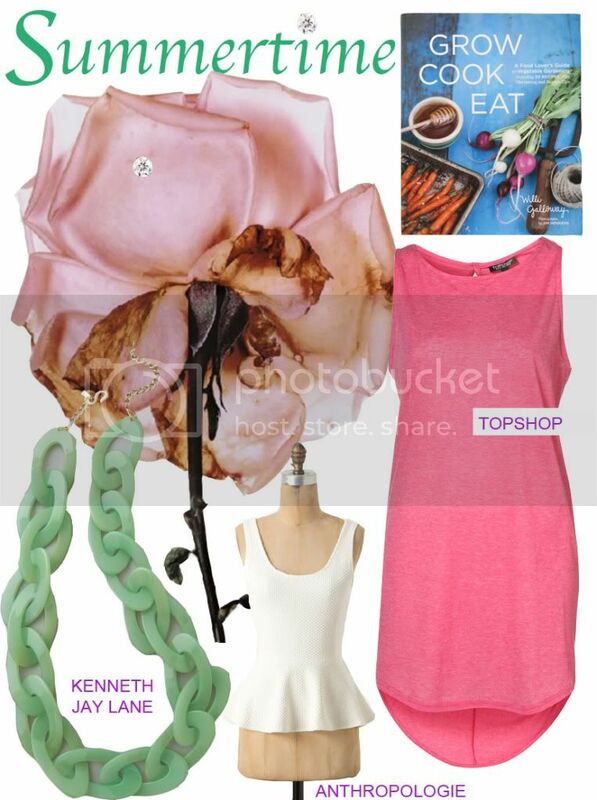 My absolute favourite look for the summer.. Lately, I have been obsessing over skincare and makeup products and have slowly been trying to make changes on what I use on a daily basis. This urge to chuck all of my old products and start fresh is due to all of the wonderful, new products that are out there and also from watching Tanya Burr on YouTube regularly. She's a British makeup artist who is actually friends with Millie from Made in Chelsea, one of my favourite shows, so naturally I am addicted to her YouTube channel. 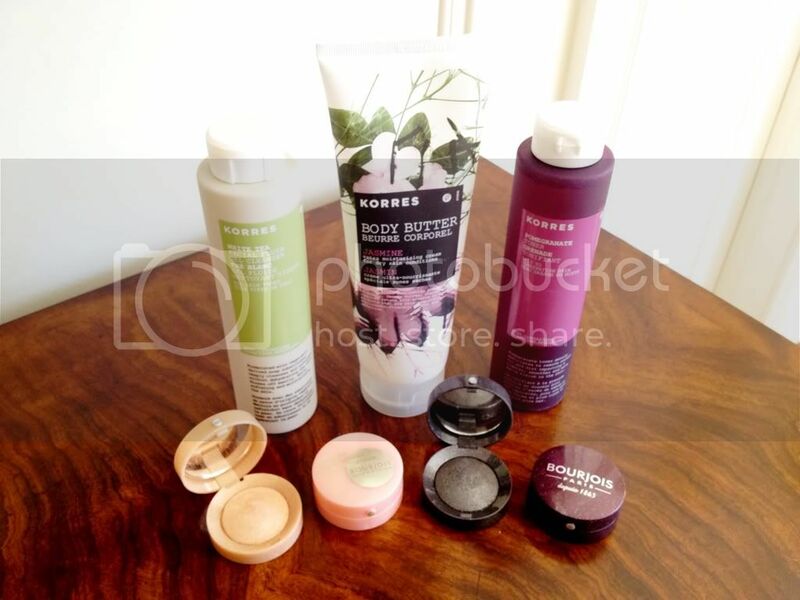 So I have slowly but surely been buying some new products and as a result I must share with you two of my favourite brands: KORRES skincare products and Bourjois Paris makeup. 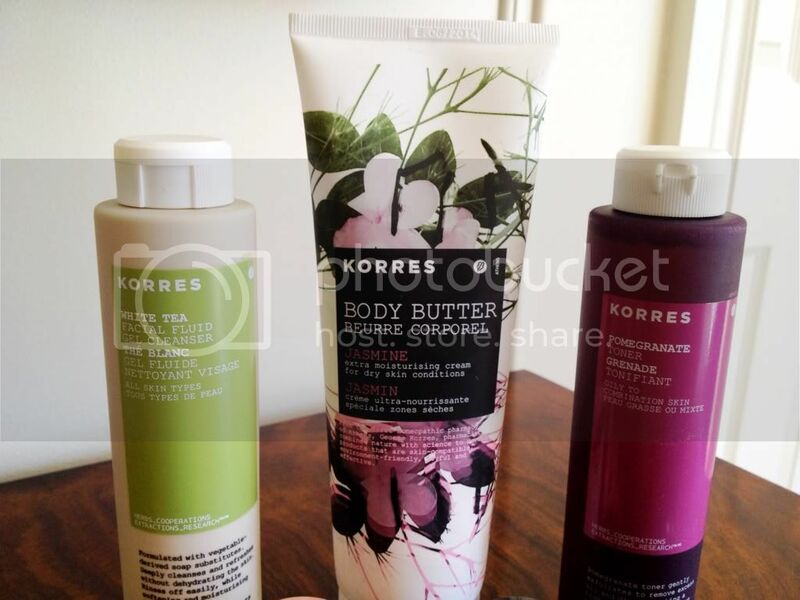 I have always loved KORRES and have a few of their coloured lip balms and face creams, but I have just recently had the pleasure of receiving a few more products as a gift: the Body Butter in Jasmine, the Facial Fluid Gel Cleanser in White Tea, and the Pomegranate Toner. I've heard amazing things about these products and I'm going to try them today before getting ready to go to my friend's birthday party this evening. 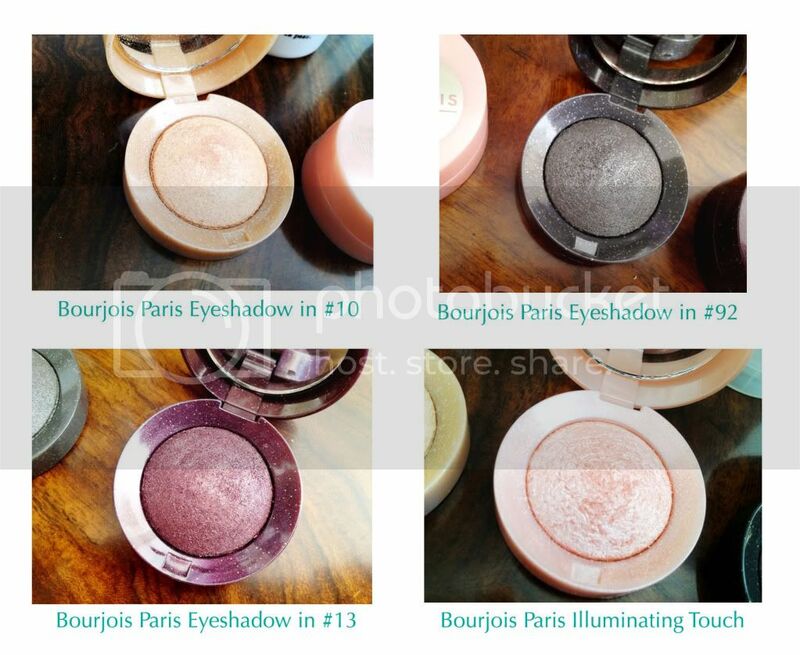 Along with KORRES, I have completely fallen for Bourjois makeup. I started off with a sparkly eyeshadow in a light cream/golden colour and loved it so much I decided to buy the sparkly, dark charcoal grey, and the sparkly plum as well. They seem extremely sparkly, but after lightly wetting my brush and then adding the eyeshadow onto my lid it comes on as dewy and shimmery. It's honestly just absolutely amazing! Lately, I've been buying so much eyeshadow trying to find the best ones, I've gone through NARS and Laura Mercier, but the colours and textures of Bourjois eyeshadows are just incredible. I also got the illuminator that I put on my upper cheekbones and on my temples, which is so flattering and adds a perfect amount of glow to my face. I truly recommend these products and also Tanya Burr on YouTube, she's just so friendly and personable and her makeup tips are awesome and easy to do! I'm slowly but surely changing my mindset from Winter to Summer. I've started jogging outside instead of in the gym, I've been cooking healthier meals, and I've been buying a bunch of whites, corals, and teals to liven up my wardrobe. I'm so excited for this summer, especially since it's the first time probably in my entire life where I am staying in Montreal for the entire summer without leaving for a vacation. Even though not taking a vacation sounds awful, this will give me the opportunity to actually enjoy all that Montreal has to offer in the summertime! There are so many festivals, good food, amazing parties, and outside activities going on in Montreal that I am so excited to experience. I am moving out into the city in the next month or two and I have so many international friends that are coming to visit me throughout the whole summer so there is definitely a lot to look forward to. I have created an inspiring summer collage that will hopefully make all of you readers look forward to Summer as well. It's all about eating fresh food, being active, partying, and being with the ones you love! 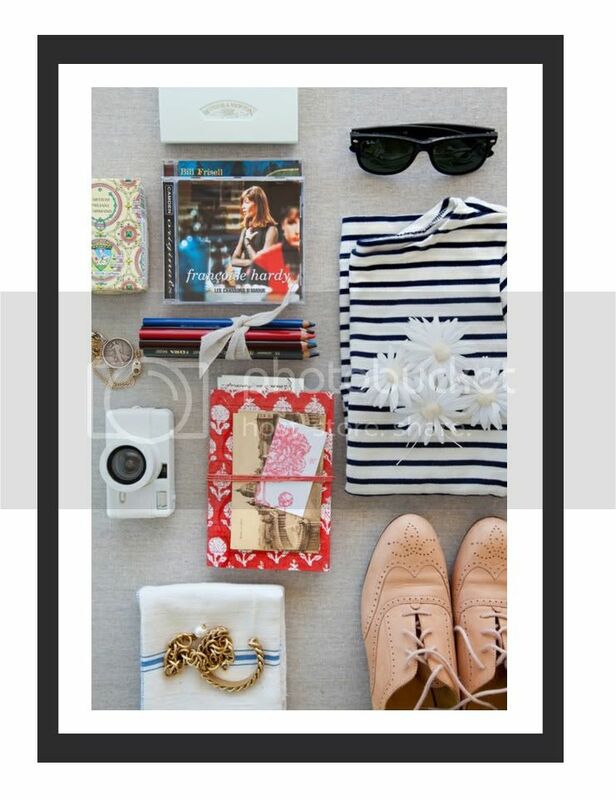 What are all of your plans for this summer?